Check out this Black Friday Ad Deal available now - KitchenAid Professional 500 Series Stand Mixer for just $199 Shipped (Retail $499)! 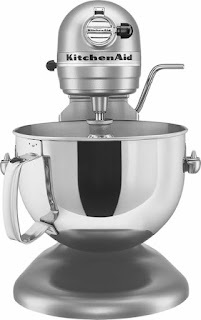 This heavy-duty stand mixer features a 450W motor and a bowl-lift design, so you can secure the bowl in place and mix heavy batters and large batches with ease. Attachments expand your baking options. *Prices can change at anytime!